Do you or your clients daydream about finding the perfect profession? Help make career dreams a reality with the SDS. Choosing a new career can be an enlightening experience—it’s an exercise in learning more about yourself and an opportunity to discover what possibilities lie beyond the realm of your vocational expectations. 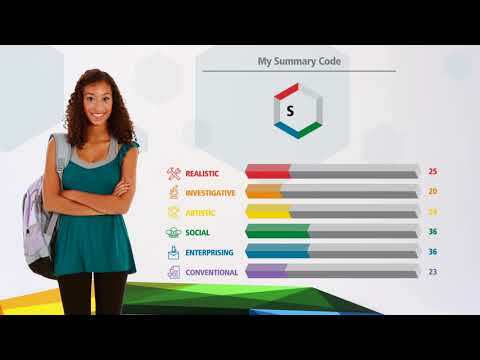 The SDS provides you with a customized Summary Code that reflects your self-reported skills and interests and corresponds with a list of occupations matched to those characteristics. Plus, it produces an Aspirations Summary Code—a customized code based on the occupations you dream about most. Quote from Daniel, with riasec code E for enterprising, A for artistic and S for social: I really needed a change of pace. My new position utilizes my skills and lets me spend more time with my family.